McGladrey Art Gallery, McGladrey, 80 City Square, Charlestown, MA. 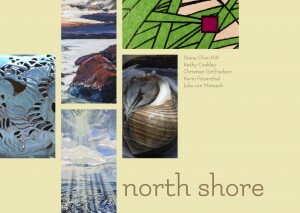 Inspired by the vibrant arts community of Gloucester and Rockport, Christina Godfrey has compiled a diverse group of artists to feature in North Shore including Diane Chen, ceramics; Kathy Coakley, painting; Christian Gotfredson, mixed media on paper; Karin Rosenthal, photography; and Julia von Metzsch, painting. 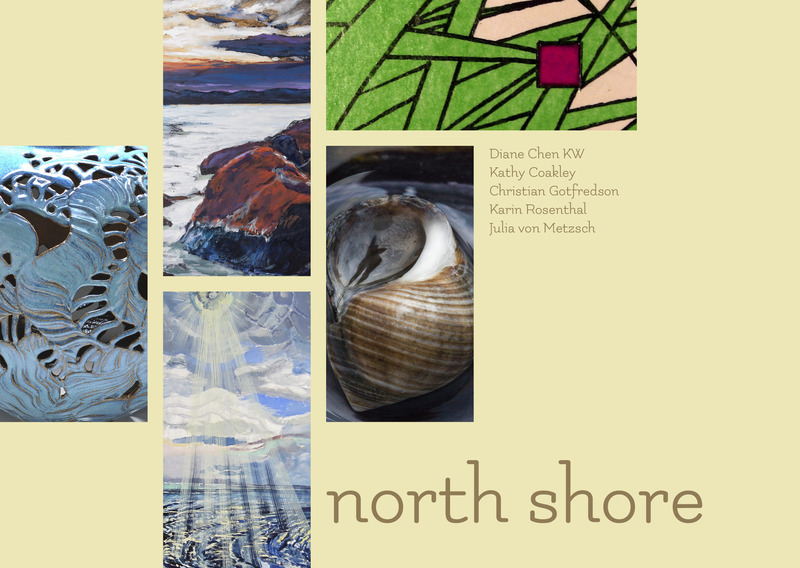 The exhibiting artists are actively involved with the Cape Ann Art Museum, Sea Arts, North Shore Art Association, and regional galleries. The McGladrey Art Gallery is open during regular business hours or by appointment. Please contact Christina Godfrey with inquires.